Miss a free MSDE Parent Webinar? Click here for the archive. Standards are knowledge and skills that students will need to know in order to be fully prepared for college and career. 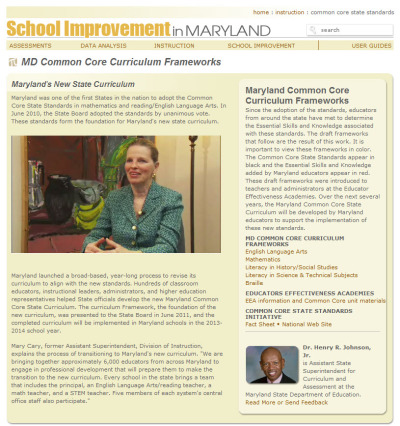 The Common Core State Standards are the foundation for the Maryland College and Career Ready Standards which guide what students should know and be able to do, at various points along the path of their educational journey. Our Harford County Public School educators use these standards to provide a rigorous curriculum for all students, ensuring that our graduates are able to compete in the global market. 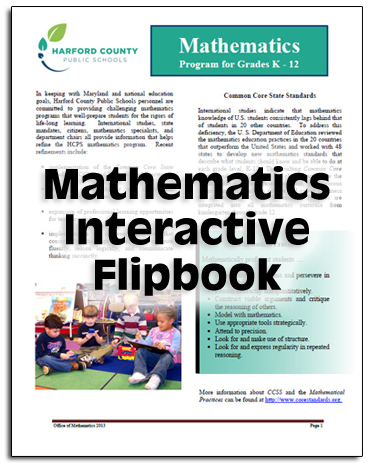 Click on your child's grade level for more information regarding content that may be presented in your child's classroom. 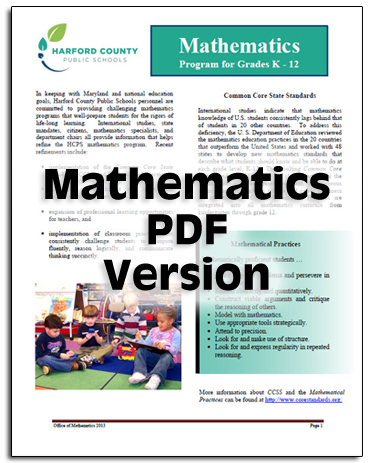 Click here for the Maryland State Department of Education's Common Core FAQs. Click on a subject for more information.